The as-yet-untitled movie is due out in October 2019. Sony Pictures just released the first photo of Tom Hanks as Mister Rogers, with Hanks playing the iconic TV children’s show host Fred Rogers in an upcoming film. 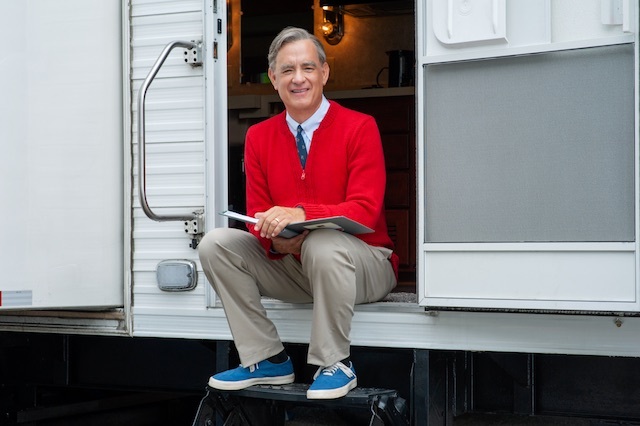 The two-time Oscar-winner portrays Mister Rogers in Untitled Mr. Rogers / Tom Hanks Project, a timely story of kindness triumphing over cynicism, based on the true story of a real-life friendship between Fred Rogers and journalist Tom Junod. After a jaded magazine writer (Emmy winner Matthew Rhys) is assigned a profile of Fred Rogers, he overcomes his skepticism, learning about empathy, kindness, and decency from America’s most beloved neighbor.